Car Wash & BBQ Fundraiser a Huge Success! 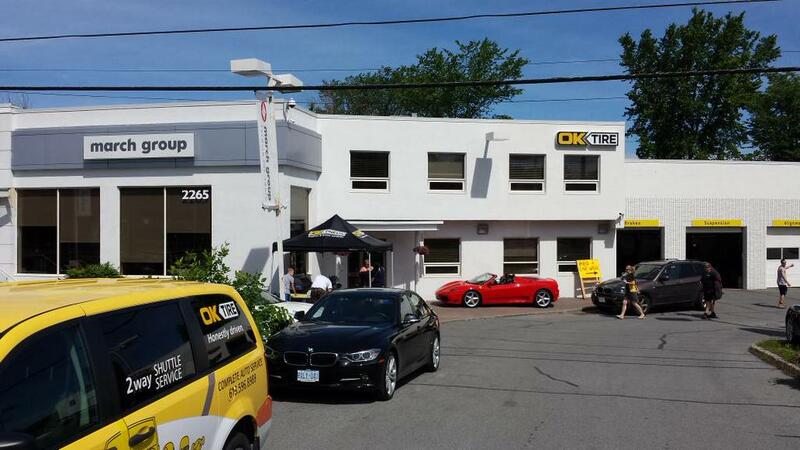 Monsterous THANK YOU to OK Tire in Bells Corners for hosting and sponsoring our Car Wash and BBQ Fundraiser yesterday. Over 20 Warriors volunteered their time to give back to their community. Nicely done lads! The weather was perfect and when it was all said and done, we raised enough money to buy two brand-new Riddell Speed Helmets for our tackle football program! Thanks to Bells Corners Loblaws for their donation to our BBQ and our very own Ken and Carmen Schwartz who quarterbacked the event for the Warriors. Setting up for our big fundraiser at OK Tire, 2265 Robertson Road, Bells Corners. 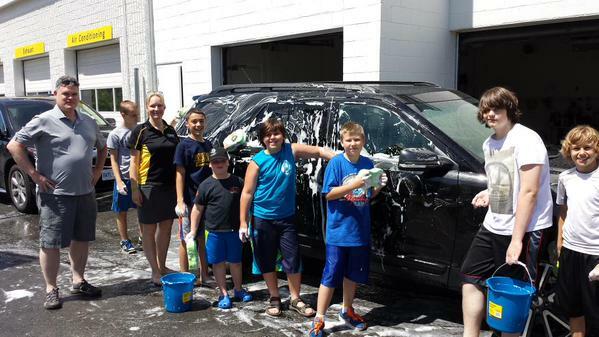 OK Tire co-owner Nicole Novotny gives our Warriors a quick introduction to the do’s and don’ts of washing cars. Nepean Eagles President and NCAFA President Steve Dean shows his support for our fundraiser. What a leader. What a great guy! Somewhere under those suds there’s a car. Nicely done Warriors! That’s the way to give back to your community! Bell Warriors Insider is Out! Happy Father’s Day from the Warriors!